You're here: Home / Home Renovations: Should I Stay or Move Out? Choosing to stay in your home or at a different accommodation while your house is being renovated has its own pros and cons. Ultimately, however, the decision will depend on your priorities. Safe Harbor Roofing & Siding, your local roofing expert, breaks down the pros and cons of both options. Budget – Staying in your home means you won’t have to pay for alternative accommodations. So you can still get to enjoy a level of comfort in your home even during renovation work, establish a construction-free zone where you can escape all the noise and dust. Project Updates – In case your contractors have concerns about the project, they can call relay these to you immediately. Plus, you’ll be able to monitor the renovation’s progress. Decreased level of comfort – Even if you’re only renovating the exterior, the construction noise and dust would interrupt your daily routine and possibly stress you out. And if the renovation work is extensive, you might have to put up with these living conditions for longer. As such, staying in isn’t recommended during a fixer-upper renovation. Slower Rate of Progress and Safety Concerns – Staying in your home might hamper the contractors’ work and delay the project. You might also end up endangering yourself by being so near renovation work. Usually, however, contractors would inform you of the need to move out if they deem the risks to your safety to be too high. Faster Completion of the Project – With no one living in the house anymore, roofers, for example, can move more freely. Free from unnecessary obstructions, it would be easier for them to keep the project on schedule. Reduced Stress Levels – Moving out of the house would spare you the ordeal of having to deal with construction noise and clutter. Additional Living Costs – Staying at a new accommodation means you’ll have additional living expenses, although you could reduce the cost by staying at a relative’s or friend’s place for the duration of the renovation. Less Involvement – Moving out of your home means you won’t be as involved in the monitoring of the project as you would have liked. Regardless of whether you move in or stay out, hire qualified contractors and roof repair companies to renovate your home. 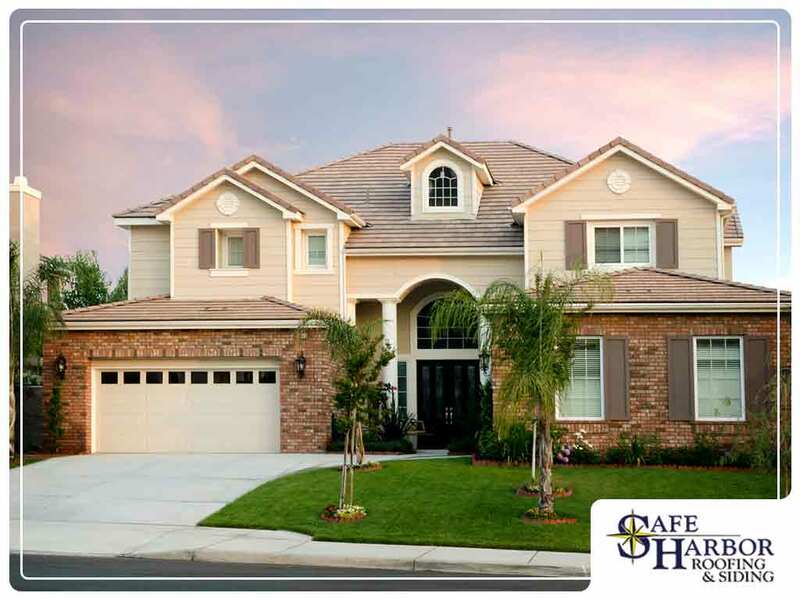 Safe Harbor Roofing & Siding has certifications from manufacturers like GAF, Owens Corning® and James Hardie®. If you hire us, your home will be in capable hands. To get a free estimate on your roof and siding, call (913) 800-6181, or fill out this form. We serve homeowners in Shawnee, KS.